The art of presenting and communicating on the shop floor. 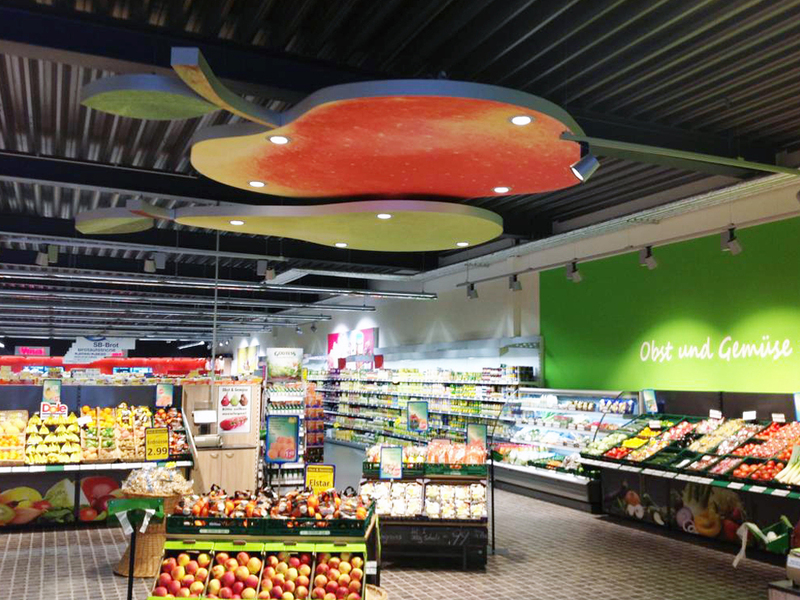 The Pillen products department designs, manufactures and assembles instore signing solutions for every shop interior. From shop display to complete ceiling elements or XXL photo prints. A good store presentation deserves a return! A good feeling in a store or department contributes to the complete shopping experience of your customer! Since 1997 we have been thinking in innovative and creative retail solutions. Became big in check-out and checkout furniture. 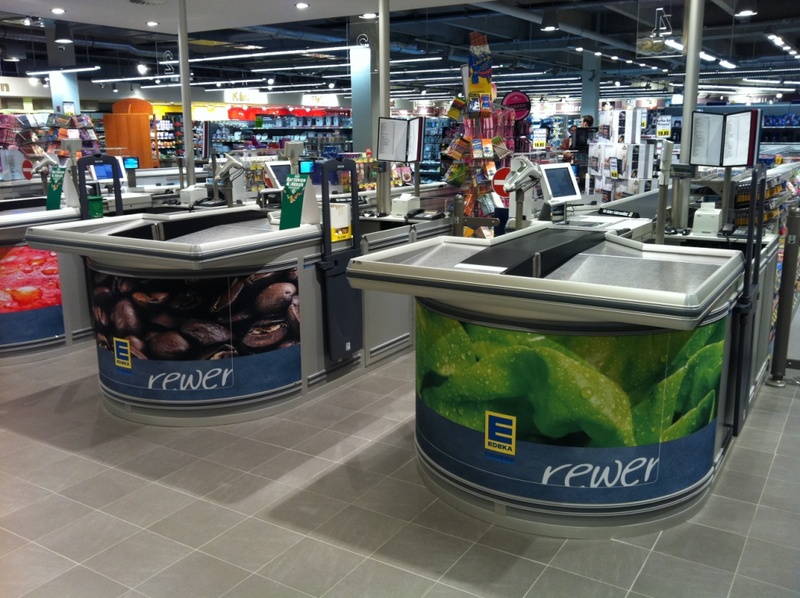 But for years, Pillen also designs, produces and assembles displays, product presentations and complete instore signing. Combinations of wood, metal, LED functions make your product an eye-catcher! Pillen has an emotion in every pixel. ls retail professional, Pillen has been active in various retail environments since 1997. 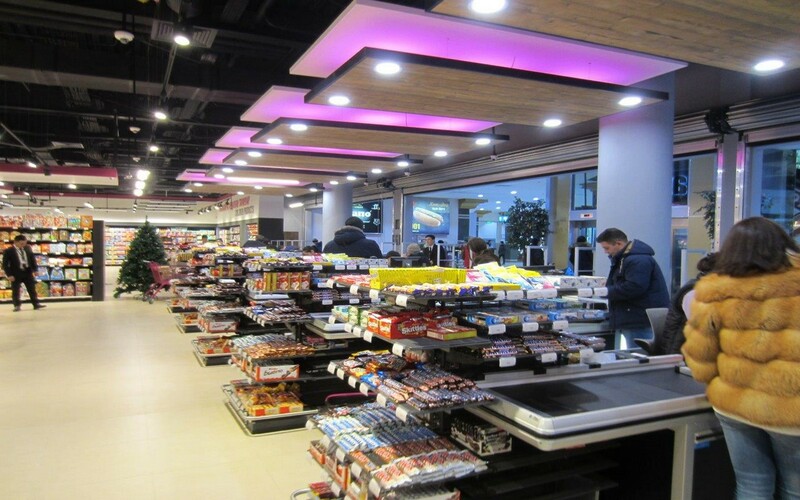 In many store concepts we grow lightweight aluminum profiles that can be covered with so-called tendon cloths. These cloths are easy to exchange and also give a warm and luxurious look. If desired, these can also be equipped with LED lighting for even more impact. 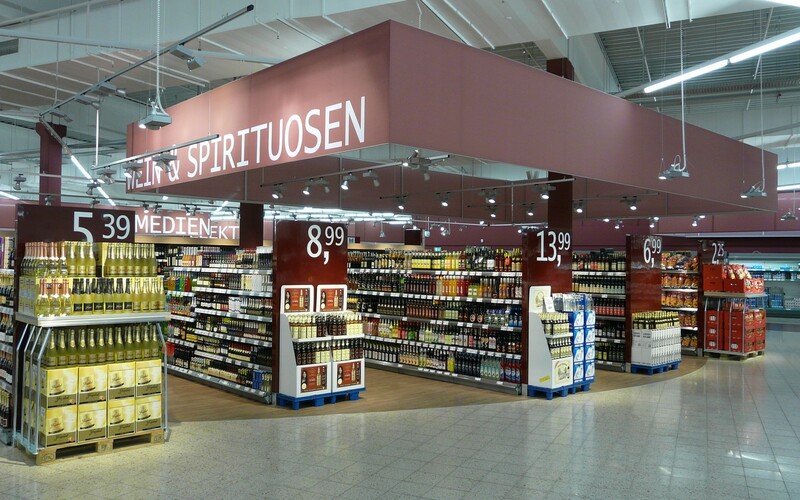 In the meantime, these textile frame solutions are also used in checkouts, counters, racks and are nowadays an integral part of many retail signing.